An attempt at taking the "smudged lens flares" things to the next level - the Roach pioneered renders featuring beam cannons. It took about 3 months for me to get them to look great though. Also in this render is an attempt at creating my own nebulae. 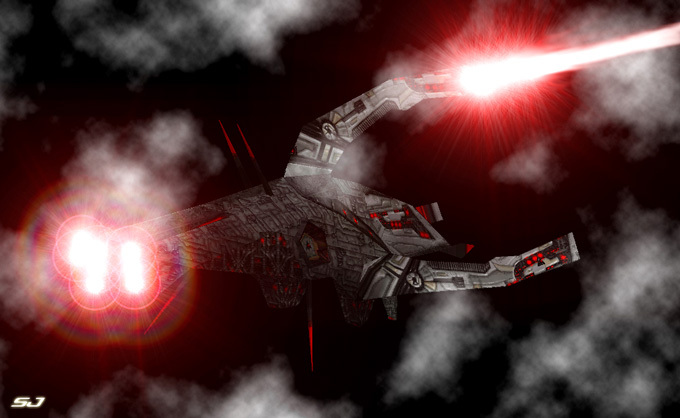 The model of the SC Cain used for this render is from the game Descent FreeSpace, a brilliant space simulator from Interplay and Volition, released March, 1998.